Baked Parmesan Ranch Chicken; Simple-y Scrumptious! There are never enough chicken recipes, Right?! Also, there are many versions of this simple, moist & scrumptious chicken recipe floating around in cyberville and here’s another; mine 🙂 It takes about an hour from prep to table and is always a hit running the gamut of family, friends or guests. Shhhh, don’t tell anyone, but the ranch dressing is the secret; it holds in all the flavor and moistness while the chicken is baking and also adds a wonderful dimension of flavors. I find that Hidden Valley Ranch dressing works best but Marzetti’s or any other brand will do. You can also top the baked chicken with some nice aged, shredded cheddar—your call. All in all friends, if you like chicken, this is soon to become your “go to” recipe due to its simplicity and deliciousness! Set oven to 400° degrees (bottom rack to lowest position). In a shallow bowl mix together dry breadcrumbs, Parmesan cheese, salt, pepper, garlic powder and lemon peel. Dip chicken into ranch dressing to coat both sides (allow any excess to drip off). Coat in the breadcrumb parm mixture. Place in a single layer onto a greased baking sheet or line with non-stick foil, pour equal portions of melted butter over each piece of chicken. Bake for 35-40 minutes or until golden brown and juices run clear. Note: do NOT bake in a smaller baking dish or the bottom of the chicken will be soggy). Bone in, skin on breasts may also be used. Simply increase the baking time to 45-50 minutes. Oh my goodness! This chicken looks so flavorful and moist! Thanks so much! It’s one of our favorite simple recipes! Oh it truly is! So easy too! Thanks so much for commenting!! This has my mouth watering!! haha! Sounds as if I’m doing my job then, GP! They’re truly wonderful & easy! Thanks a bunch! 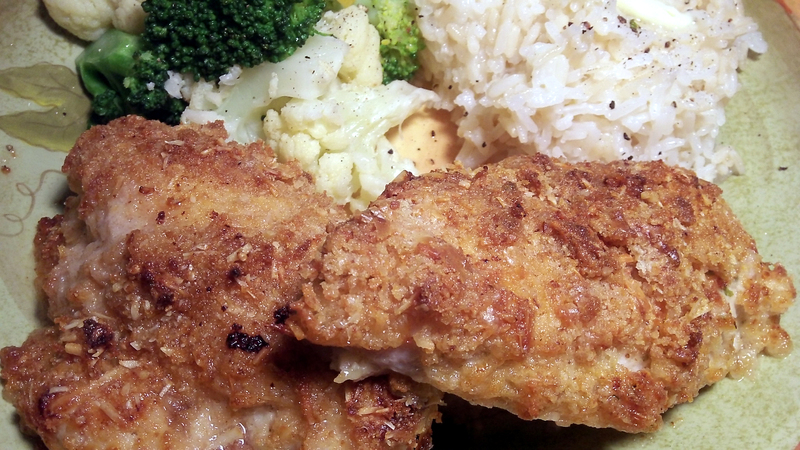 The crispy crust on this chicken looks awesome. Mmmm, absolutely gorgeous, crispy chicken. I’d totally do the aged white cheddar for this. Winner Winner Chicken Dinner! haha! Osyth! I’m a huge fan of aged cheeses like yourself and my hubby isn’t– like yours so I can relate! Thanks so much! Ours too, Lynne! The flavors in this simple recipe are surprising! Looks delicious. The chicken reminds me of a variation of a German Schnitzel. So true! 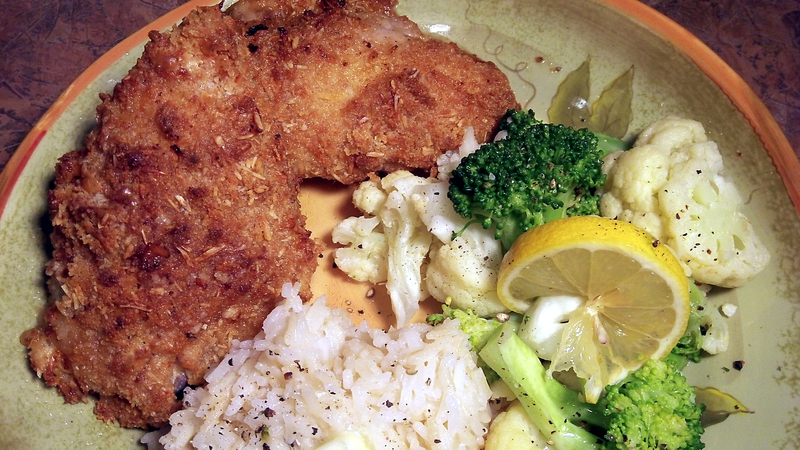 I just so happen to be craving German Schnitzel! How did you know?? lol! Thanks so much! !